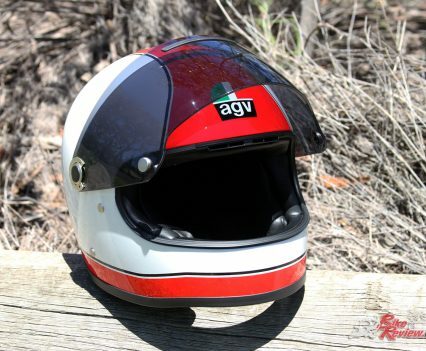 The AGV X3000 is available starting at $599.00 RRP for solid colours, $699.00 RRP for the simple graphics as pictured on my X3000 (in Red/White), and with the Gloria edition $749.00 RRP and Limited Edition Ago $999.00 RRP. 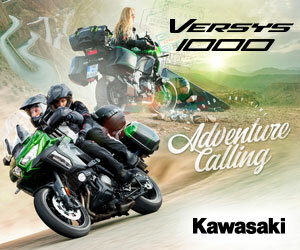 Priced between $600 and $700 for the solid and basic graphic basic options marks these are a relatively premium option in my mind, and that’s only reinforced when you pick up and take a good look at the helmet. Weighing in at about 1.3kg the X3000 feels reasonably light thanks to a fibreglass shell, which comes in three sizes, and there’s really not much bulk to the shell or linings. 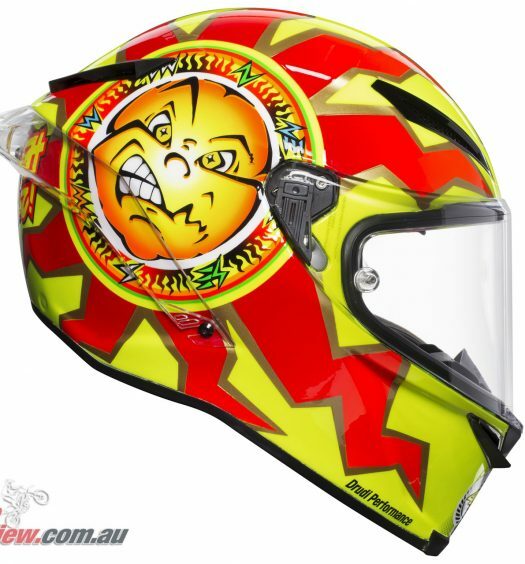 The build quality is exceptionally good, with clean distinct details on the graphics, and the AGV logo on the forehead is beneath the clear coat, with a subtle outline around the green and red sections helping them stand out from that central red stripe. 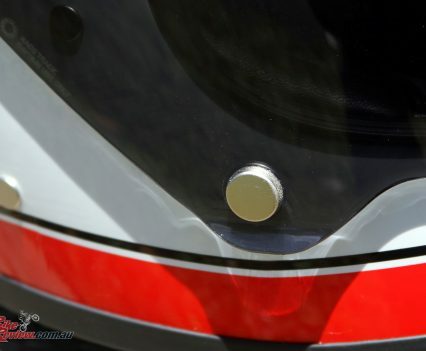 The rubber strip around the base of the helmet and sealing the visor in place are also minimalistic, while the billet buttons and visor mechanisms are a nice touch. I’m testing this specific helmet with a Smoke visor fitted and it’s worth noting that visor changes require an allen key. 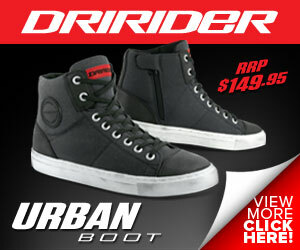 This isn’t a quick release system, while a rubberised plastic cover hides the mechanism, ensuring a sleek overall look. 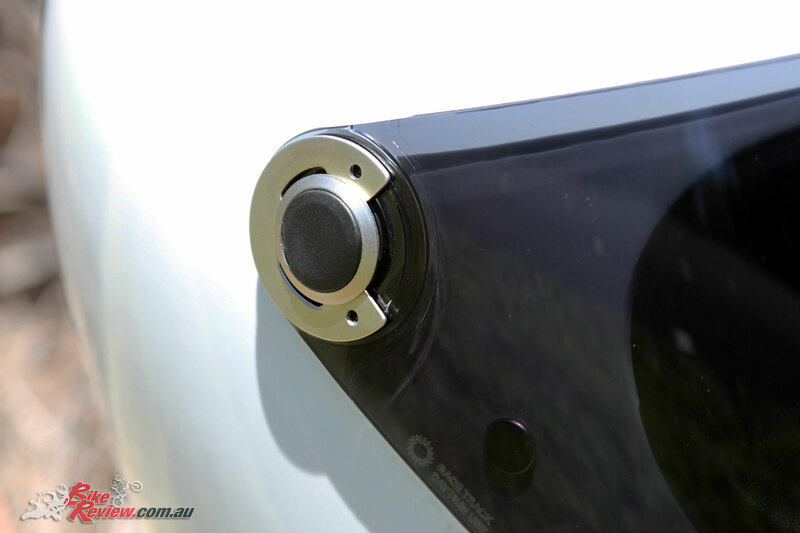 The visor also includes a rubberised vent cover, which can be removed and allows air to travel into a vent at the top of the view port. 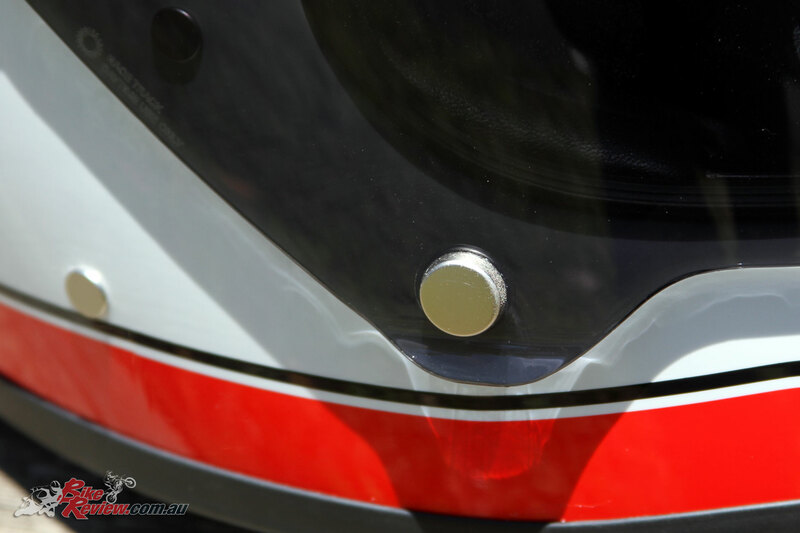 The visor can be opened with a single hand while riding, and if you’re traveling at highway speeds the wind force will close the visor if you’ve just left it slightly open. Trying to open and close the visor with it sitting on my desk is a little more difficult, but I’ve never had an issue while riding. 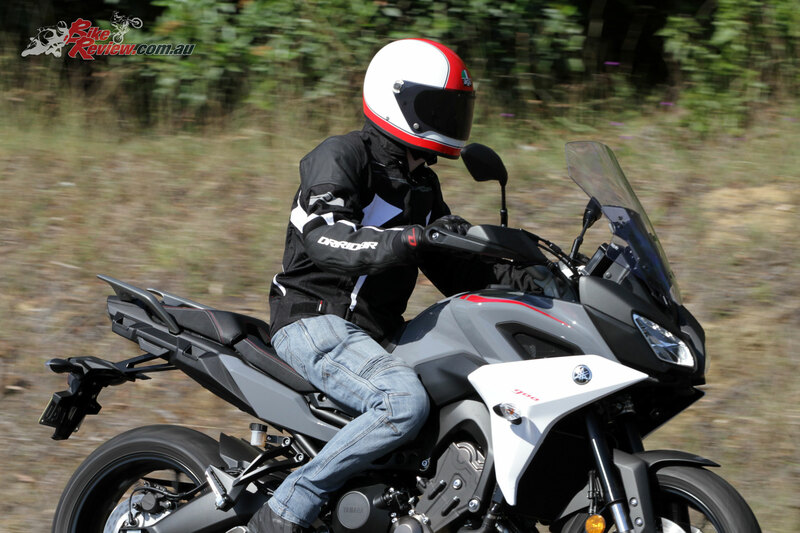 The Smoke visor is an ideal all-rounder and you could wear a pair of sunglasses underneath if you’re riding with sun directly in your eyes. My sporty Oakley frames for instance fit comfortably with reasonably beefy arms, although I normally don’t bother. The Smoke visor is an accessory however and purchased separately. 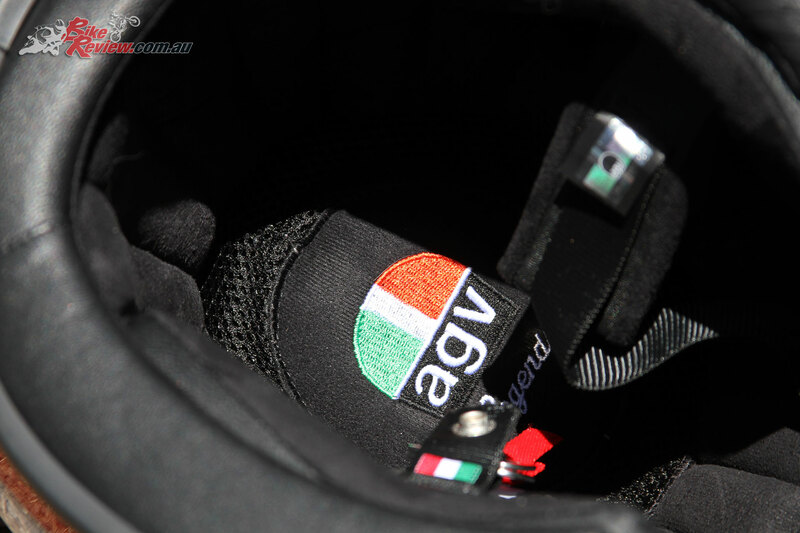 The interior of the helmet includes some very cool suede linings, including the cheek pads and is a very clean design with ‘AGV Legends’ embroidered at the crown. I’ll admit I was a little dubious looking at these linings, however they are comfortable and offer a good level of support, ensuring a snug fit. 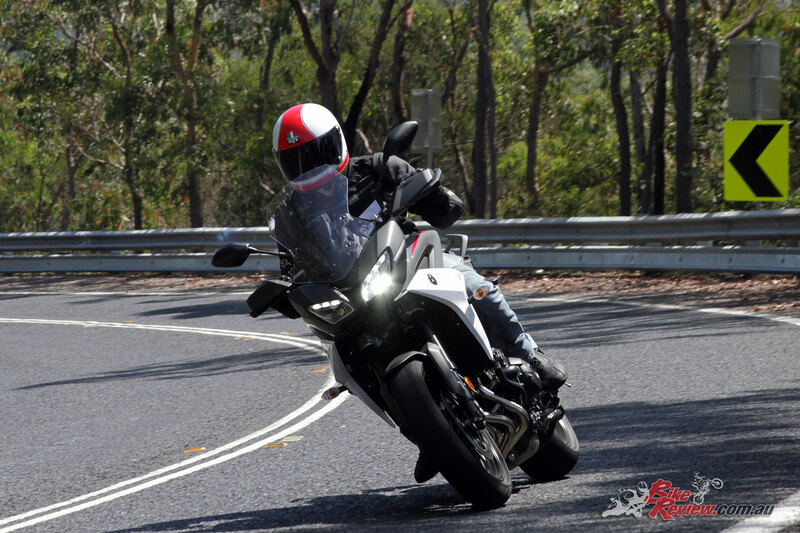 Obviously part of this comes down to picking the right size helmet, and it goes without saying to always make sure you do this properly! The straps feature a double D retention system and leather/suede chin guides to ensure comfort, with a somewhat stubborn button allowing the free end of the strap to be secured. The cheek pads and inner lining can also be removed, and washed, except the neck roll, as you’d expect on a premium helmet. 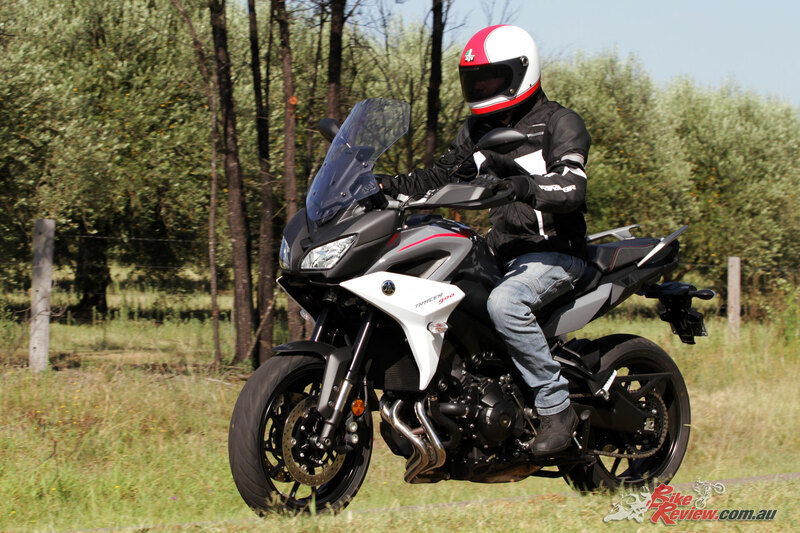 Subjectively I reckon the X3000 is a very cool looking helmet, although I haven’t had a suitably retro motorcycle on hand to do it full justice style-wise. 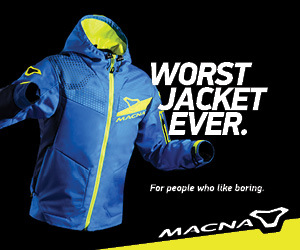 It’s light and aerodynamic, with great comfort. I’ve also seen some retro styled options which frankly leave me cringing, where this helmet I can wear with pride. The amount of peripheral vision through the view point is exceptional, only small head movements are required to do shoulder checks and have a nice clear look, while also helping create that feeling that you’re almost not wearing a helmet or constrained in any way. 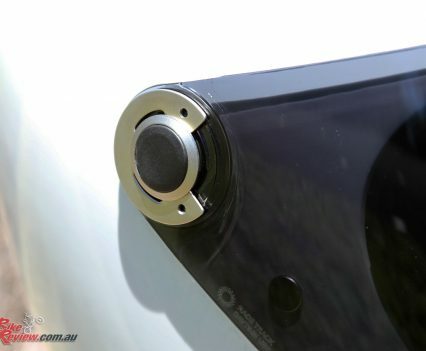 Ventilation is also good, with strong airflow in the chin area, while opening the visor a notch or two gives a good flow of air to your nose and face but not your eyes – in my experience anyway, it’ll vary if your bike has a screen redirecting air flow. 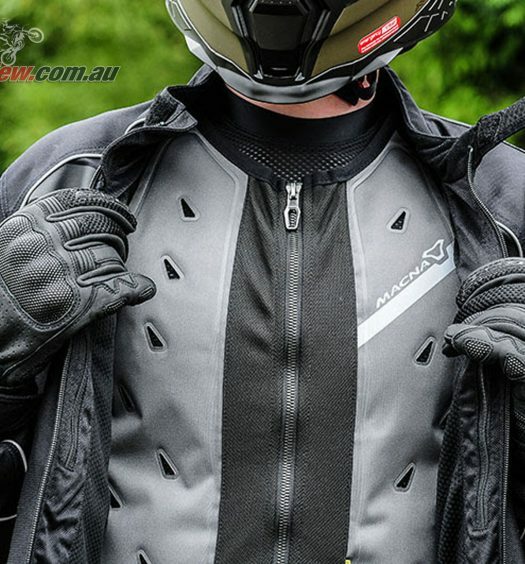 Even on extremely warm days the AGV X3000 is a pleasure to wear, to the point of almost forgetting I’m wearing it. 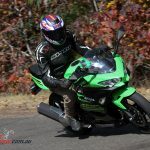 Obviously the Ago version of the X3000 is the most eye-catching, but personally I’d baulk at paying that much more, unless I was riding some Ago themed classic bike and could really justify it, but I’m sure for those with a more personal connection to Ago and his racing days that may be a different story. 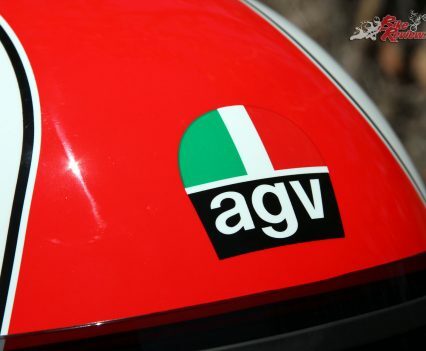 Overall the AGV X3000 ticks all the boxes for me. It’s all day comfortable, offers great vision, is a brand I’d trust to protect my noggin’ and is a cool all round option. There’s also a good variety of colour and graphic options which should cover a number of different themes and I’d recommend taking a good look at these lids if you’re in the market. 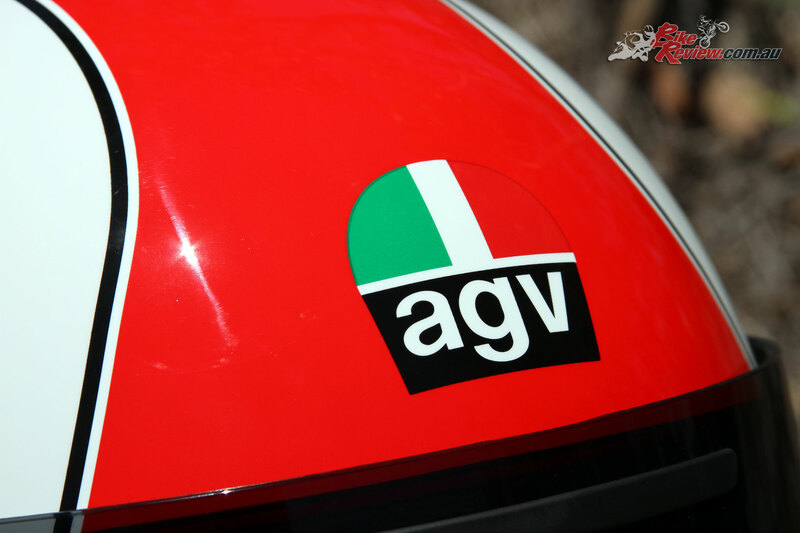 Visit your local AGV stockist for more information or check out the AGV Australia website or the full catalogue at the Australian importer’s website – Link International. 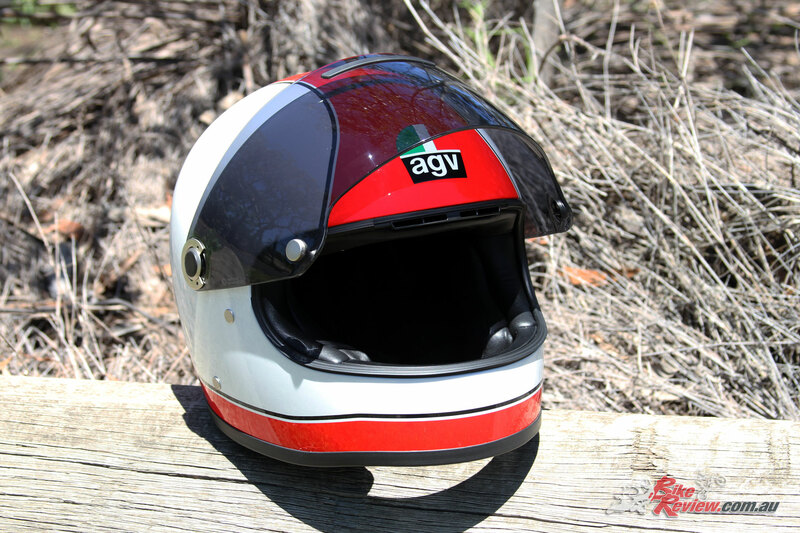 AGV’s X3000 offers a retro styled helmet boasting modern technology from their Legend’s range, with crisp graphics, great comfort and nifty suede linings, which are removable and washable. 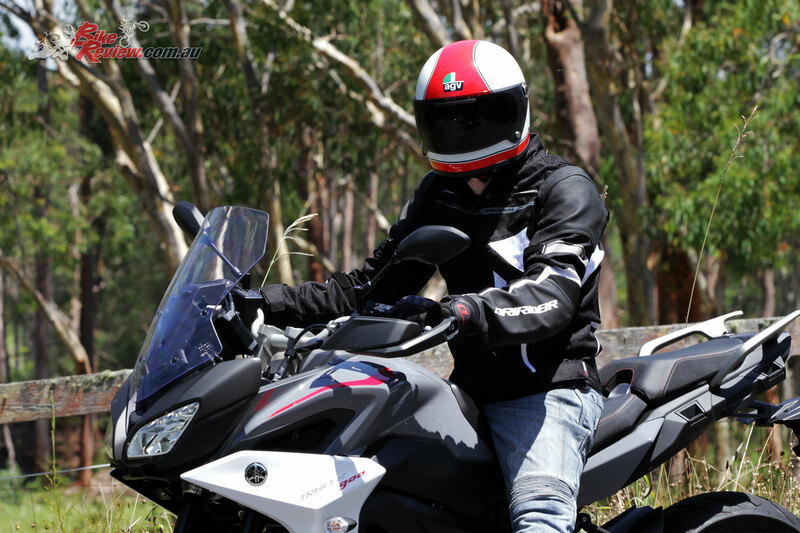 The field of view is exceptional, with double-d ring retention and a light overall weight of 1.3kg, making for a great all-day helmet, and pricing starts at $599.00 RRP for solid colours.